NEW LISTING - 250 State Route 56 NW London, OH 43140! 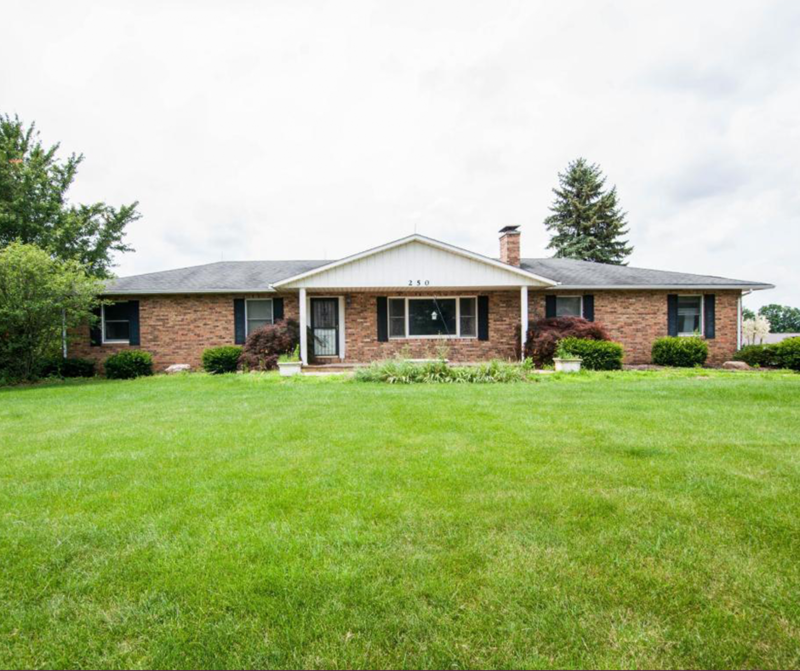 NEW LISTING – 250 State Route 56 NW London, OH 43140! Charming mini-horse farm on 12.5 acres. Stately brick ranch has partially finished walk out basement. Large brick wood burning fireplace in the living room with built-ins. Kitchen updated about 10 years ago with slide out shelves. House boasts an owner’s suite and two additional bedrooms and a bath on main floor, lower level has a bedroom and full bath and main open rec space. Large patio out the level level walk-out. House has a whole house water softener, nice french doors out to the large deck area. Nice sized mud/laundry room on the first floor. Property has a barn now with tack room, 8 stalls, 3 run ins and hay storage. 8 acres of hay field right now and two pasture areas and an arena.